Respawn boss Vince Zampella was present at E3 2018 and at the Microsoft briefing he announced that the studio was working on a Star Wars game. There was no image, no title, no direction. Just a statement made at the event. 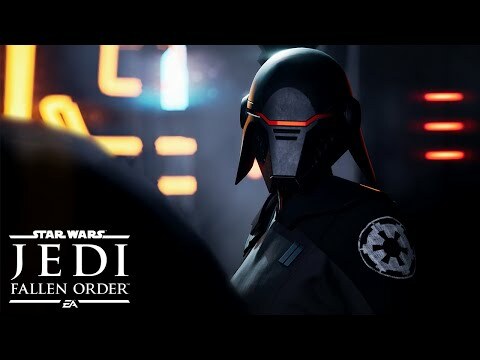 Fast forward to April 2019 and at the Star Wars Celebration event Zampella announced that the studio was working on Star Wars Jedi: Fallen Order. The game is a single player game with no multiplayer or microtransactions. Coming from the publisher who thrives on multiplayer and microtransactions, this was hard to digest. However, EA, the publisher of the game tweeted that the game will not have microtransactions. Zampella said that the game is a "padawan's journey who survived after Order 66. We're going to see his journey." Even though the game was met with positive response from the audience, there are those (like us) that aren’t holding our breaths. Let's give you some background here. Storytelling mastermind Amy Hennig left Naughty Dog to work with EA on a Star Wars story based game that got canned and Amy left EA. Amy has worked on the Uncharted franchise in the past. EA has murdered some fantastic single player games under its umbrella including Dead Space and more. Bioware, the studio behind Mass Effect and Dragon Age recently launched Anthem which was met by a lot of criticism. Kotake did an expose on the development of Anthem and you can check out what went wrong during the development of the game here. A trailer for the game has been released and it looks like the game will release on November 11 2019. you can check out the trailer below. In other Star Wars news, we got our first trailer for the upcoming Star Wars movie, Star Wars: The Rise of Skywalker. You can check out the trailer below.